Although PR and content marketing have marked differences, it is difficult to ignore the similarities in their end goals – to create a quality message and amplify it, in order to drive a behaviour or sale. Although the internet is awash with content, not all of it is good, reliable or factually correct. PR can act as a vehicle for quality and engaging content that reaches the people that really matter, in an effective and influential way. When PR and content marketing strategies are not aligned, it can confuse your brand message and lead to a loss of authority. By following the same editorial calendar all of your output, you can take ownership of a topic at the right time, and from multiple angles. By combining traditional PR elements, thought leadership and media relations with the creation and distribution of quality content, you can ensure that you are doing everything in your power to leverage your communications plan in a consistent and valuable way. PR pros are dab hands at creating content. From news stories and think pieces, to feature articles and press packs, they’ve been doing it since day dot. It’s therefore only natural that they have the ability to create quality content that can increase shareability, brand mentions and an online presence. 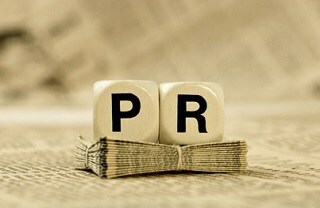 PR can also help SEO strategy, thanks to press releases that incorporate digital tactics, such as keyword and link building. One of the mainstays of PR is effective relationship building with people like editors, key influencers and journalists. By having these positive relationships, a PR can put readymade content into the hands of the people that can give it the boost it needs. On the flip side, content can sometimes serve PR fodder – which is always a bonus. If your brand or business needs PR, copywriting or content marketing at a freelance cost – get in touch today. We are based in Sutton Coldfield near Birmingham, but work with clients all over the country.